It’s a wine cellar able to keep seven boxes of 12 bottles of wine each one inside it. The 84 bottles are distributed in wood storage trays. Its dimensions are thought to optimize the placing of the bottles. The trays have been designed to allow size variations in the bottles when being stored. The wine cellar has a cooling capacity between 10-18 ºC. It’s made completely of oak DM and stainless steel is used in the interior. 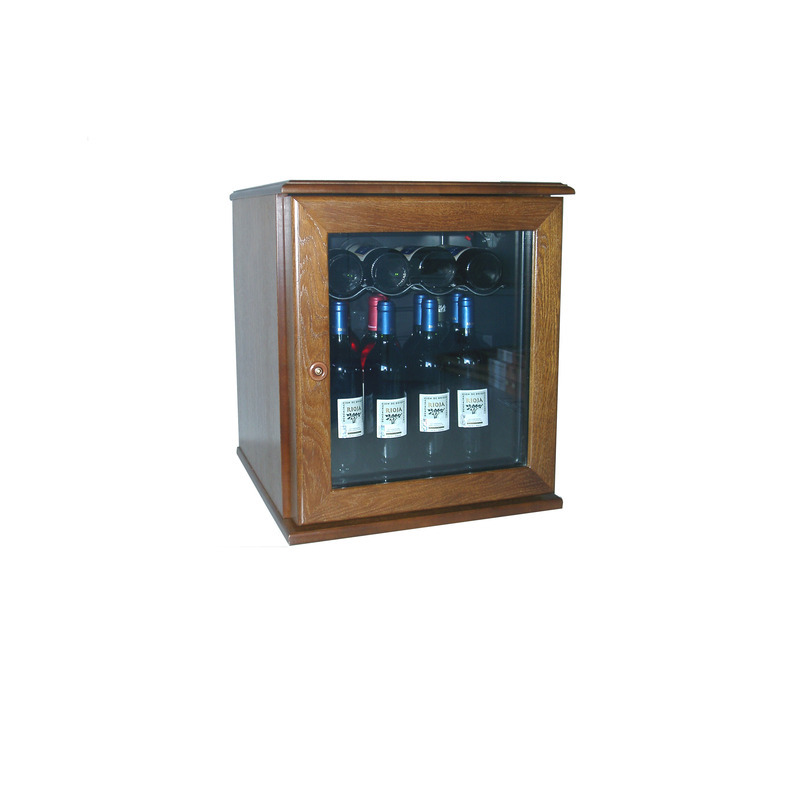 The wine cellar BC-184 is designed specially for restaurants, cafes and pubs where the best temperature to drink wine is required by the clients. It’s also useful for wine-selling establishments where preservation of wine is very important, having always in mind the private clients who want to treat their wine in their own cellars. It’s the perfect solution for the counter bar, having the wine service for glasses in the perfect temperature. The EXPO-100 is able to keep inside 36 bottles in vertical position (3 boxes of 12 bottles of wine), always ready to be served. It also offers the possibility of keeping them in horizontal position, thinking in preservation more than in service, having a capacity of 42 bottles. You can choose between a down folding door or two side sliding doors. We try to adapt our products to customers’ necessities and to maximize the establishments’ space. 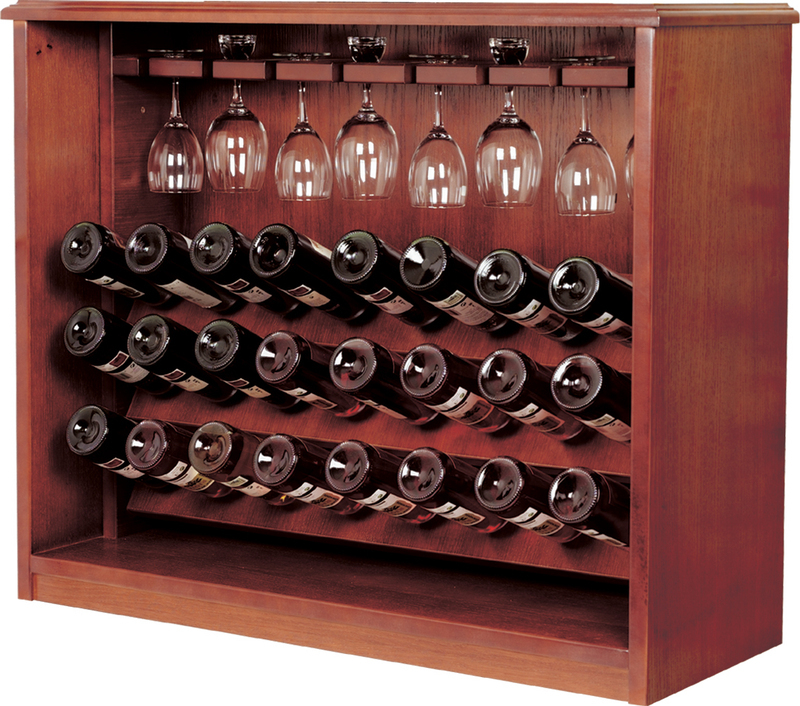 The EXPO-100 is a wine cellar that can be leaned on an oak DM furniture where you can keep two boxes of 12 bottles. Bottles are kept in separated shelves that prevent possible vibrations. They have a small inclination which gives you total visibility. The wardrobe has also in its superior part a decorative shelving to put eight wine glasses. The conservation of your wines is guaranteed with our LUXURY ELITE SERIE. It has a great capacity despite of its small size. Your wines will be perfectly kept thanks to the thermoelectric cooling . Besides due to the automatic system of management the temperature can be regulated between 10ºC and 18ºC and the humidity varies between 60 % and 75 %. The consumption is minimum, approximately the same as a bulb. The cellar is provided with a double glass door so the bottles are protected from the light and ultraviolet rays. The cellars are finished in detail so they are perfectly fit for any establishment as another decorative element. Keep your wines in the best possible conditions with our cellars of our VIN serie. Electronic control of the temperature. Thermoelectric cooling. Studied placing of the bottles in order to avoid they touch each other. These cellars generate a constant and continuous temperature and keep regulated the relative humidity. Minimum consumption, more or less the same as an electric light bulb. This is a cellar where your cigars will be kept in a perfect conservation and humidity state. We have also tried to be careful about the best presentation, not only of the cigars but also of its boxes and packages. The cigars can be kept in the cellar in its original boxes, in specific trays or free. The cellar is provided with electronic temperature and humidity adjustment to guarantee the perfect conservation of your cigars. Thanks to the automatic system of management, the stable temperature is kept between 9º C and 18º C, and the humidity between 60% and 75 %. 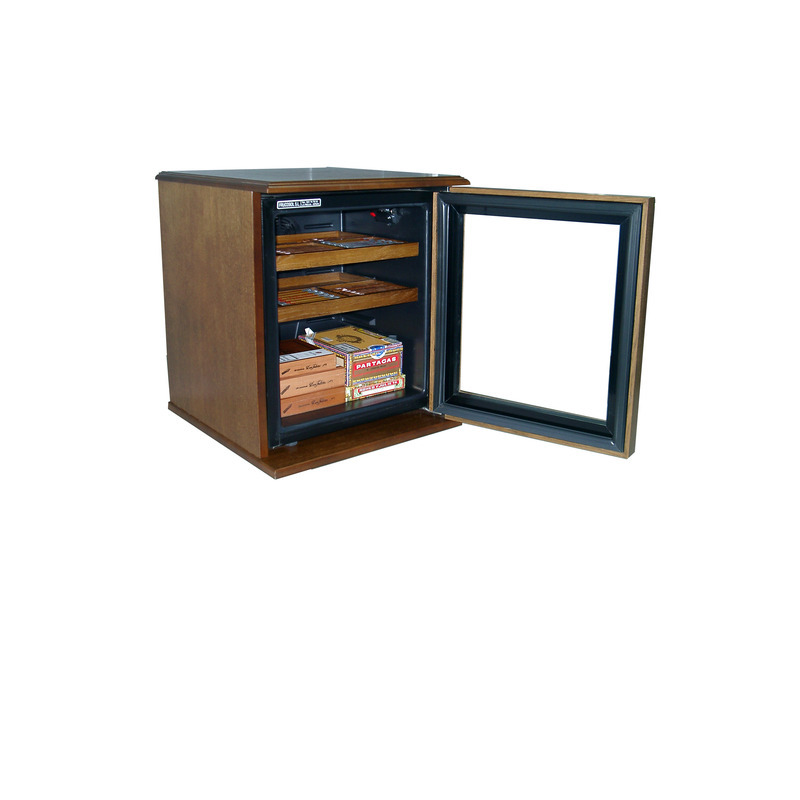 It has trays to store the cigars in its own boxes, and presentation trays, made in solid humidity-resistant Word, where you can store free cigars, so you can offer it and your customer can choose it easily.